Now what do I do with all these pretty scraps?! My hubby actually came up with one idea - - - and I'm going to give it a try this weekend for an upcoming auction.... but it definitely won't use ALL of these scraps (and I'm bound to make LOTS more). So I'd love to know what your favorite scrap-busting projects are! Linking up with WIP Wednesday over at Freshly Pieced - can't wait to see what others are working on! I keep all my scraps, and I hope someday to make a scrap quilt with pieces from all of my quilts--a scrappy retrospective as it were! I've made several quilts with my scraps over the 20+ years of quilting but my fav was one made with 3 inch nine patches that I gave my best friend on her 50th. It had all the fabrics we had bought over the years together. I made the nine patches using the "leaders - enders" idea that I first read about on Bonnie Hunters web site. Can't go wrong with any scrappy quilt! I sold all my scraps at the start of the year. Such a relief!! 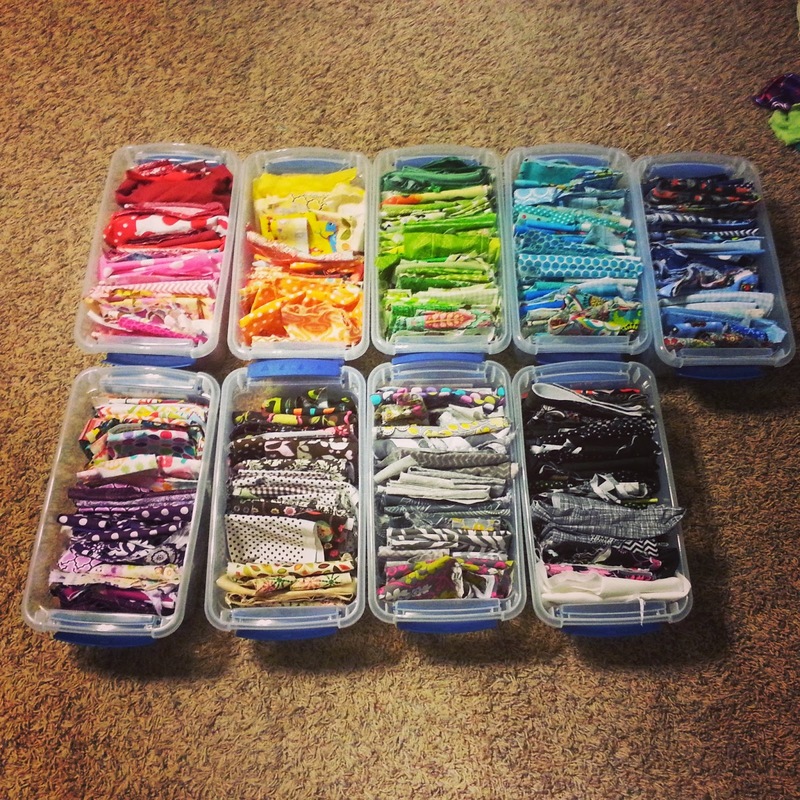 One thing is for sure with quilting - you'll always make more scraps!! I just love scrappy quilts. I haven't yet, but I'm thinking of making a scrappy postage stamp quilt. And maybe a hand pieced hexagon quilt.